This perennial salvia blooms August-October, a welcome sight as the season starts to lean toward winter. 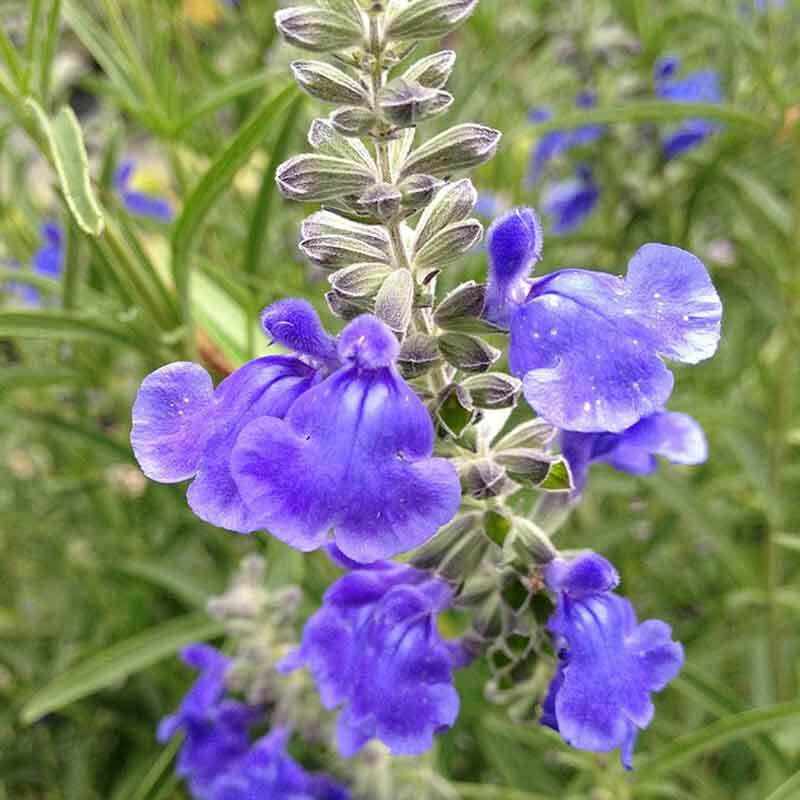 Covered with intensely blue flowers, Meadow Sage attracts hummingbirds and butterflies. Play with this sage’s lax habit by letting it twine through, sprawl around, lean on, or spill over. Looks great with yellow or smoky blue-leaved plants. Full sun. Good drainage. 3-4′ flowering stems. Spread 2-3′. Native to southeastern US. Zones 3-9.